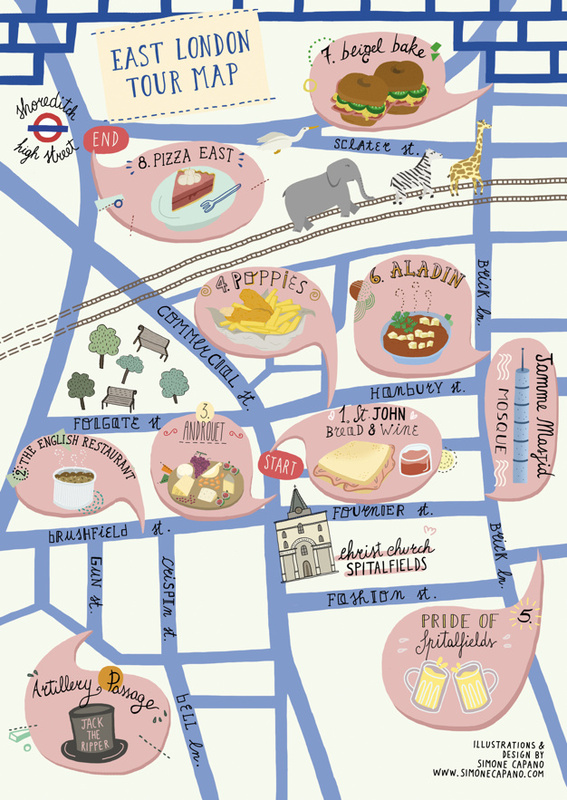 We were sent this lovely looking bespoke map by Adam Groffman, who runs regular eating tours in East London. Participants receive a paper copy of the map at the beginning of their tour, before sampling the cultural and culinary infusion of the area. 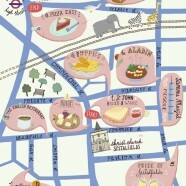 Getting a map like this is a nice souvenir of an evening and no doubt enhances the experience (and whets the appetite). It certainly beats dots or circles placed on top of a Google Map screenshot or another generic base map. 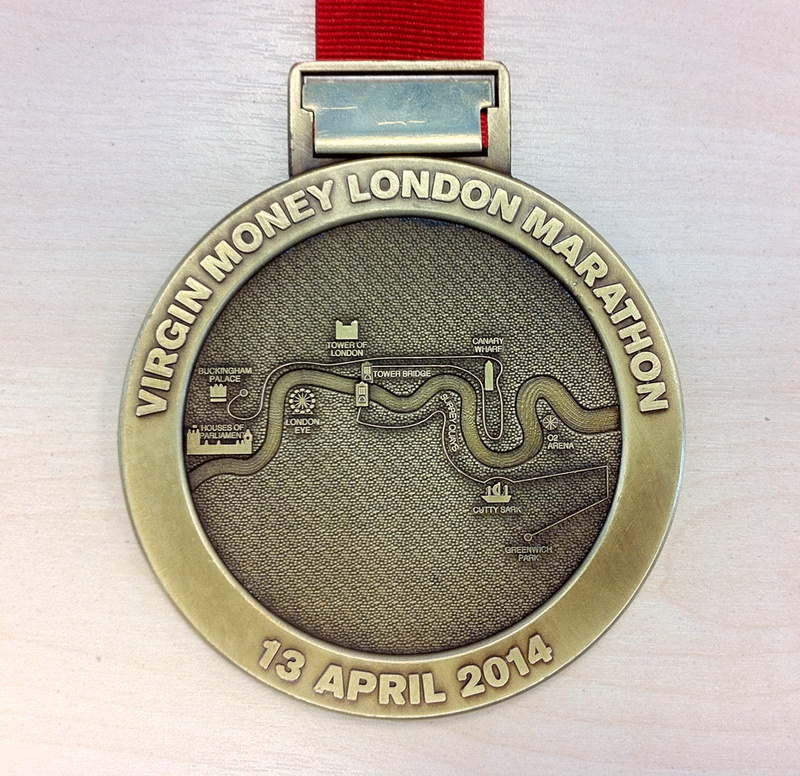 We really like the map as both a navigational piece and great example of cartography. It has the right balance of simplicity and detail – drawing out the venues while providing just enough other contextual detail, such as the main roads and stations, without crowding out the main work. The whimsical details are also rather nice – particularly the assortment of zoo animals heading out on the railway line towards Essex. 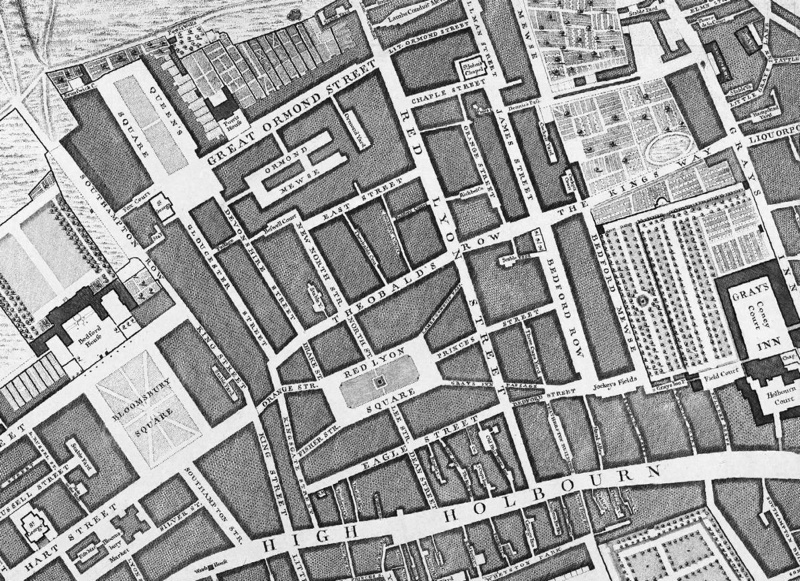 The map was created by Simone Capano who’s also drawn a similar map for Rome. 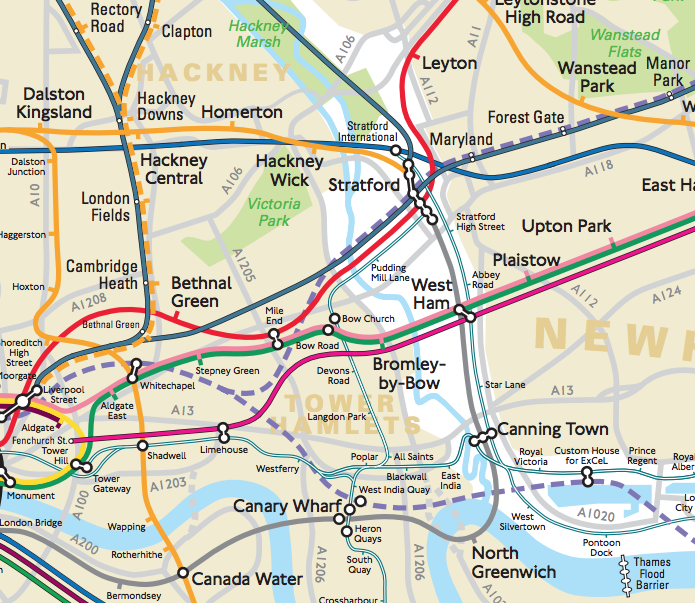 See also the Carte Blanc map which was produced last year, by a different author but with a related theme.